Injured on 9/11? Now what? So many people died and so many people were injured on 9/11 in New York. Despite healing some survivors are still struggling. Some physical injuries have healed but psychological trauma remains. Many survivors have seen their consumption of alcohol increase. Many of them struggle financially. They feel socially isolated. Some of them have deep psychological trauma. 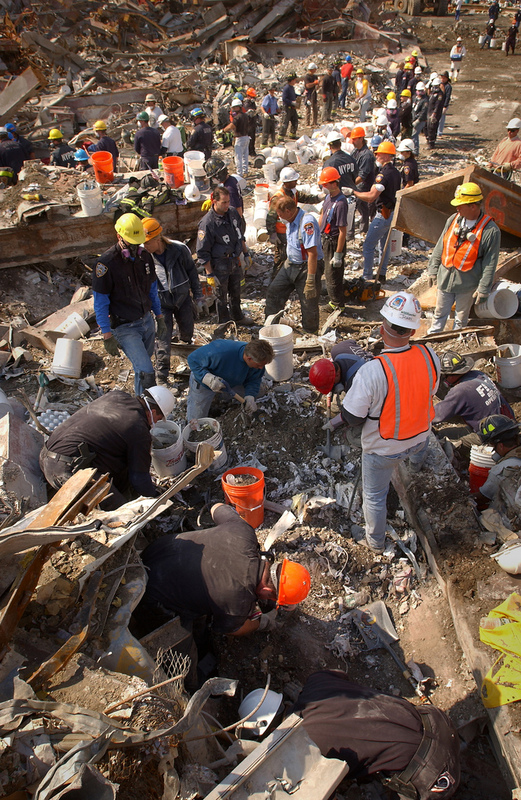 Among the 9/11 survivors many of them are volunteer workers who just came to help without using much protection. 16 years later some healed but others are still struggling. A study entitled “Hospitalizations for asthma among adults exposed to the September 11, 2001 World Trade Center terrorist attack” was conducted by the New York City Department of Health and published last June. The study shows that in the decade after the attacks many workers who were exposed to dust and debris resulting from the collapse of the World Trade Center not only continued to suffer from asthma but also from a high rate of co-morbid gastroesophageal reflux symptoms (GERS), post traumatic stress disorder (PTSD) and sinus symptoms. The study found that co-morbid conditions, including PTSD and GERS, are associated with an increase in asthma hospitalizations, as are female gender, black and Hispanic race/ethnicity and lower levels of education. Another study published this year and conducted by the New York City Department of Health and Mental Hygiene and by The Department of Epidemiology, Mailman School of Public Health, Columbia University looks at Chronic Diseases. In “Injury, intense dust exposure, and chronic disease among survivors of the World Trade Center terrorist attacks of September 11, 2001“, Howard E. Alper , Shengchao Yu S, Steven D Stellman and Robert M Brackbill found that acute exposure to 9/11 dusts led to significant long term heart and respiratory diseases. In another study also published this year, researchers found that adolescents that had been directly exposed to 9/11 or who had parents who experienced PTSD after 9/11 had a higher risk to develop behavior problems. “Parent Physical and Mental Health Comorbidity and Adolescent Behavior” was published in The International Journal of Emergency Mental Health and Human Resilience. The study found adolescents the most at risk of developing behavior problems were those who had parents with co-morbid PTSD and other chronic health conditions related to 9/11.